Looking southwest across the grid square. 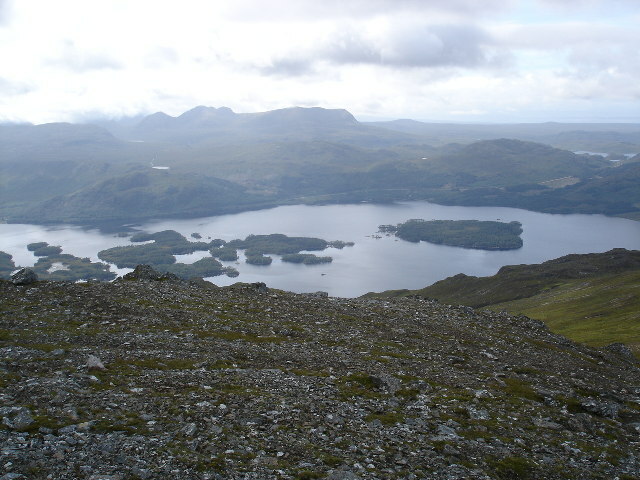 The stony section shows the edge of a long slope which goes down to Loch Maree. It turns into a cliff above the loch. This page has been viewed about 166 times.